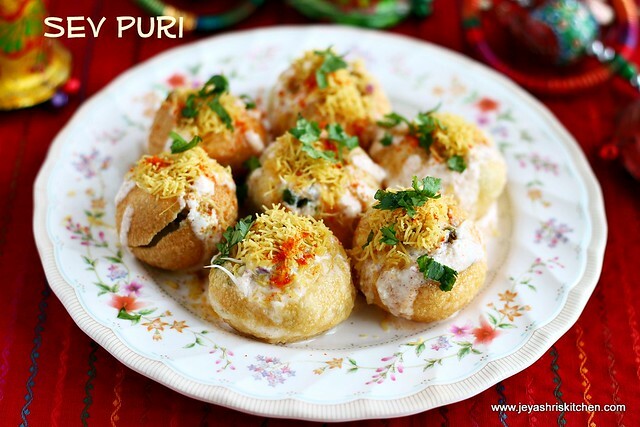 Sev puri is a mumbai street chaat recipe and we all are a huge fan of this Sev puri Chaat. I was craving for this for the past few days. 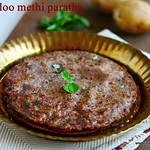 As holi festival, is round the corner, i know many of them make sweets and savouries. 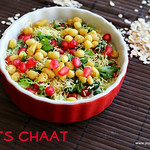 Many of them make chaat recipes too for holi festival too. 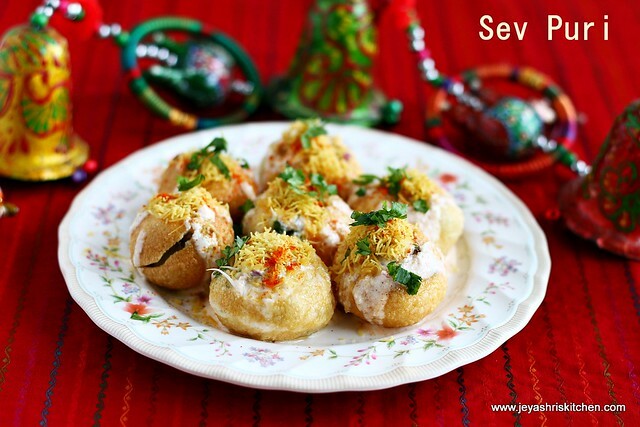 Let's see how to make Mumbai street style Sev puri chaat. Yesterday after a very tiring day, immediately after clicking the sev puri , happily had 7 puris all by myself for my lunch. 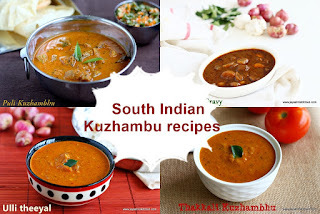 Happy to share that my recipe got featured in Kungumam Thozi,a popular tamil magazine, this March 2015 edition. Will share the recipe here next week. Boil the potatoes and mash it nicely. 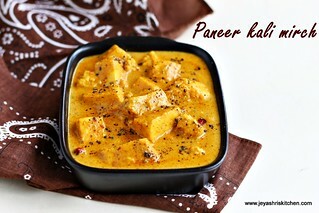 Add salt and jeera powder to this and keep it aside. Take yogurt in a bowl and beat this well and add little red chili powder, salt, sugar and chaat masala to this and mix well. Always use thick curd. I used plain sprouts, you can use steamed sprouts or boiled green gram too. While boiling do not mash it. Chop the onions finely and keep it. Break the puris in the middle. Just make a dent. and arrange them on the serving plates. Now let me explain how we should arrange the sev puri chaat. Add little potato mixture inside all the puris. Next add little sprouts or boiled green moong dal. Add onions to this. Add little green chutney now. 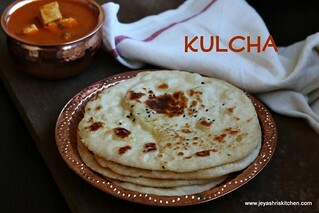 Add little sweet chutney into each puri now and add the spiced curd | yogurt. Sprinkle red chili powder, chaat masala on the puris. Any curd is left over just pour on the puris. Serve immediately. Else the pooris will become soggy. when i started clicking itself the pooris started become soggy. 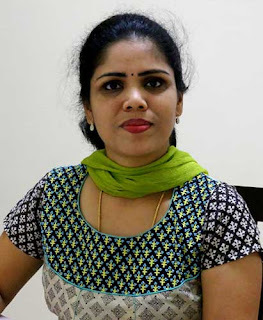 So i finished clicking fast and enjoyed them . 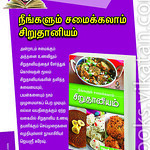 The quantity of chutneys depends on your taste. Feel free to add more green chutney if you want it slightly spicy. You can add pomegranate for garnishing to make it more healthy. 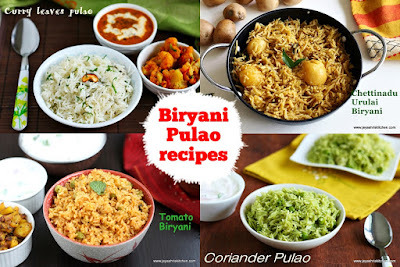 I liked this recipe and I would like to share this recipe. 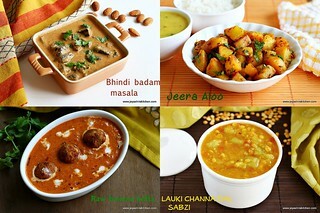 For more recipes visit http://www.tarladalal.com or download iPad/iPhone/Android apps from appstore. 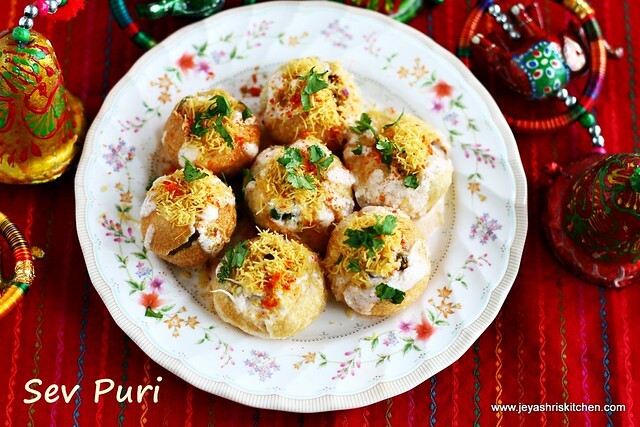 When traveling in India, I had Pani Puri in Delhi. It had some potato, maybe sev, but it was filled with light green liquid. Puriwalah was filling them one at the time, while customers were standing around. holding their dish, waiting for next one to put it whole in their mouth. Taste was very spicy, but just the way I like it.